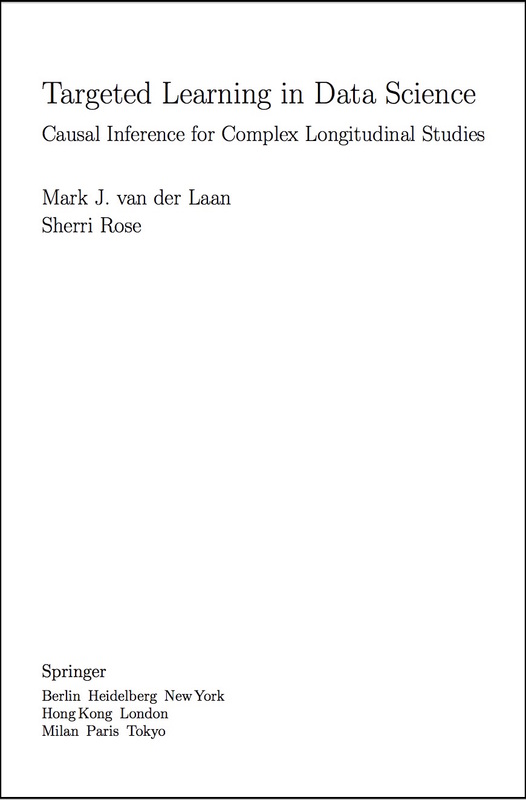 Together with Judea Pearl, Jasjeet Sekhon, and Maya Petersen, I am pleased to announce the launch of the Journal of Causal Inference - a new journal that publishes papers on theoretical and applied causal research across the range of academic disciplines that use quantitative tools to study causality. Our first issue is planned for Fall 2011 and our website is now open for submissions. Together with Alan Hubbard, Michael Jordan, and Rasmus Nielsen, I am leading the NIH-funded Biomedical Big Data Training Program at UC Berkeley. The program responds to the urgent need for advances in data science so that the next generation of scientists has the necessary skills for leveraging the unprecedented and ever-increasing quantity and speed of biomedical information. 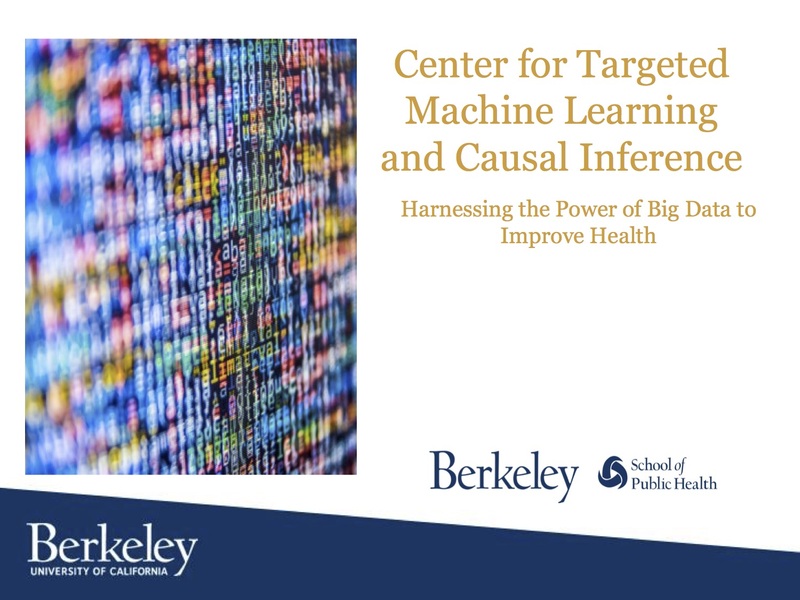 I am the PI for [Berkeley’s new Center for Targeted Machine Learning and Causal Inference](), which develops, implements and disseminates signature methods for exploiting vast, new health datasets. 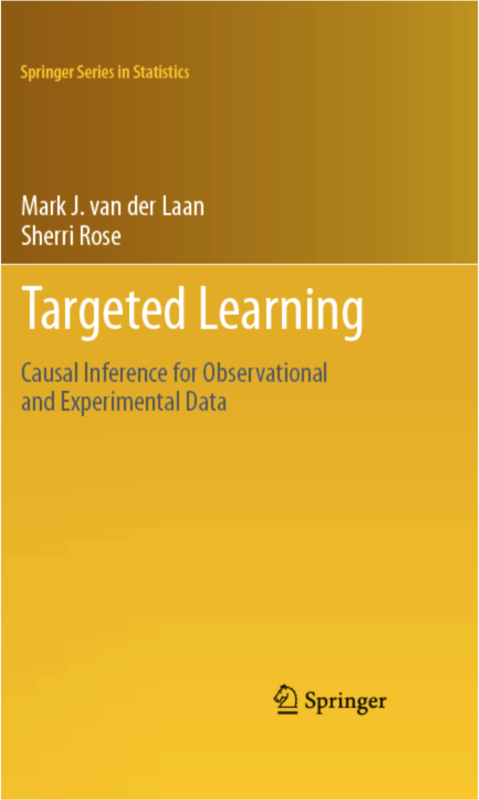 Read the new book published in 2011 by the Springer Series in Statistics, Targeted Learning: Causal Inference for Observational and Experimental Data. Read the recent editorial in Amstat News by Mark van der Laan & Sherri Rose: “Statistics Ready for a Revolution”.